The atmosphere in Qawwal Gali is uncharacteristically subdued since Amjad Farid Sabri’s life was snuffed out prematurely. “I knew him from the time when I called him Ummi and he called me Saifee, and we were just young boys, not Amjad Sabri qawwal and Saifuddin qawwal. I still cannot believe he is no more,” says Sabri’s friend, Saifuddin Qawwal, still shaken weeks after his death. Karachi’s Qawwal Gali is the collective name given to a group of five streets, named after five renowned Qawwals: Munshi Raziuddin Qawwal, Moeen Niyazi Qawwal, Kallan Khan Qawwal, Jaafar Hussain Nizami Qawwal and Bahauddin Qawwal. 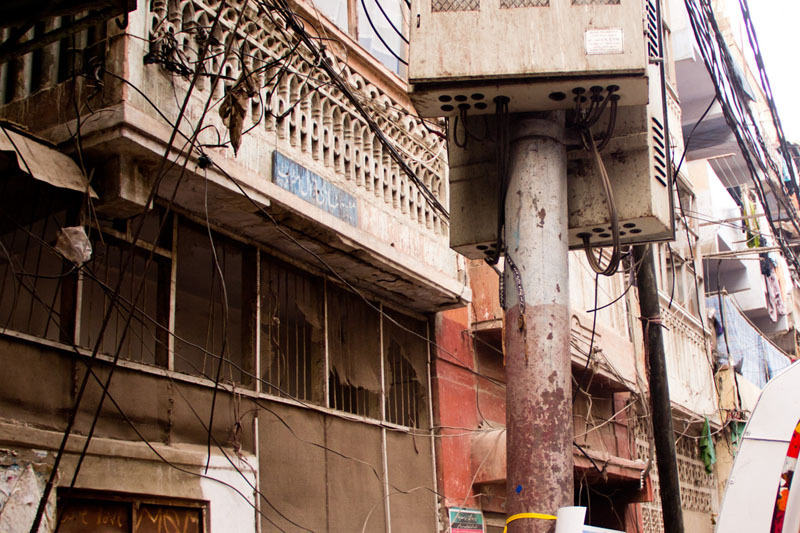 Between 80 to a 100 families of qawwals reside in these streets near the Shoe Market area. They safeguard a tradition that travels back to almost 800 years, when their ancestor Miyan Saamat learnt this spiritual musical art form from Hazrat Ameer Khusro, the 13th century Sufi musician, poet and scholar. Popularised versions of the unforgettable and powerful poetry of Ameer Khusro, like “Chaap tilak sub cheen” and “Mun kunto maula”, have trickled down to Pakistani masses, who get a feel of spirituality through these renditions. But the hub of the original, undiluted art is the Qawwal Gali. These families have been guarding these compositions over the centuries, and their entire lifestyles are moulded to fulfill the responsibility of keeping alive a tradition they see as almost sacred. While Sabri was not a Qawwal Bacha, a shared tradition and profession has led to lasting bonds between all networks of Karachi’s qawwals. In the wake of his death, all of them, too, are overcast by fear. 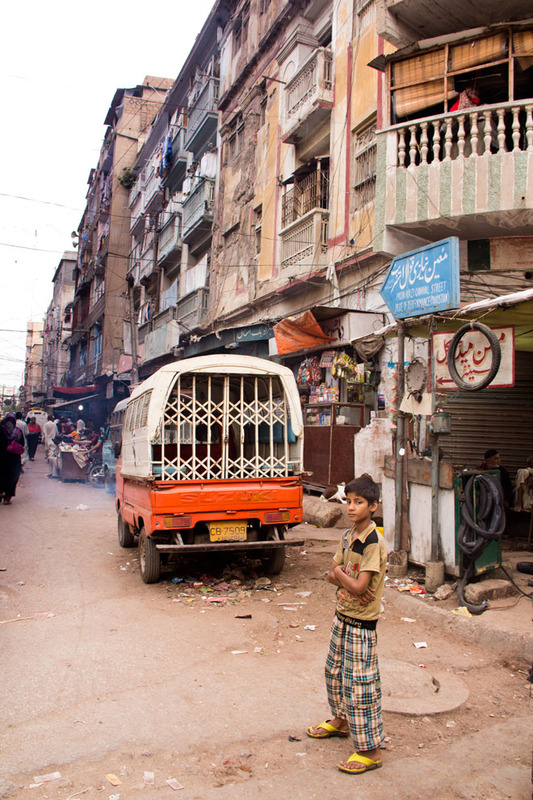 The qawwal Gali in downtown Karachi, then, is ironically the one place that they feel safe in. “It is our sanctuary. Fear is nothing new to us. Staying here is our only survival,” says Saifuddin, who is an important member of the Najmuddin Saifuddin Qawwal Brothers ensemble. The fear factor is not just about safety; they also fear their younger generation will get lost in the contemporary world and lose out on this art they see as a divine gift. Their offspring, with increasing exposure to the outside world, do express the desire to move out towards better areas. “But we explain to them how important it is for us to stay here,” says Saifuddin. “Our community has a lot of unity. Our joys and sorrows are shared. There are certain cultural traditions we live by. We would not survive elsewhere and neither would our art,” says Rauf Saami, the eldest son of Ustad Naseeruddin Saami, and part of the Saami Brothers ensemble of Qawwals. The work of qawwals is very nocturnal in nature. “Our work is at night. We leave home early evening and return around twilight. The more posh parts of Karachi are not alive during night time. Can you imagine what neighbours of Karachi’s affluent parts would think if 12 men are entering a house every day at 4am?” says Saifuddin. The Qawwal Gali does not go to sleep. Its residents sleep during the mornings and are up and about in the evenings. The chai dhabas never close. The riyaz (musical practice) never stops. The hustle and bustle never dies out. The qawwali business is seasonal in nature, and the flow of money can be ad hoc. The community also supports each other in lean times when the earning is limited. In such times, they pay each other’s hospital bills and children’s school fee. The women of Qawwal Gali are the biggest support for their men. “The women of our households do not have any complaints. They understand the demands of our profession,” says the 26 years old Toqeer Ahmed, who belongs to the Khurja Gharana’s Nohar Bani branch. Their ancestral lineage are one of the first things they learn, but their women’s names are not registered in those lists, neither are they allowed to sing. Till today, a majority of the qawwals marry within their families. In Toqeer’s opinion, if the Qawwals try their hand at any other profession, it would take them hundreds of years to make a mark. Posted in Culture, Karachi and tagged Amjad Sabri, Farahnaz Zahidi, Karachi, Qawwal Gali, Qawwali, Saami brothers. Bookmark the permalink.